We are here to equip and help people grow into the likeness of Jesus Christ! Pain is certainly part of our lives, and there are very few people who haven't , at some point, been deeply hurt. Pain - whether caused by others, by unavoidable circumstances, or by our own bad decisions - not only inflicts a wound, but that wound often causes us to behave in self-protective ways that rob us of healthy relationships and peace of mind. Can people change? If so, how? How should I treat people who look and act "really" different? In today's confusing world, kids have more questions than answers. Celebrating God's Design is a youth program with a difference - allowing teenagers to talk, think and pray about such perplexing issues as gender, tolerance, sexuality, friendship, & family challenges. 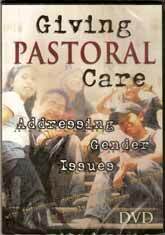 In our complicated world, parents, young people, and youth leaders frequently face the subject of homosexuality. And for most people there are far more questions than answers. Author and seasoned counselor Don Schmierer provides a balanced perspective of this complex issue, discussing its various physical, emotional, and spiritual aspects with wisdom and compassion. A timely video seminar addressing today's toughest youth issues. Join Don Schmierer, author of the book, An Ounce of Prevention and What's a Father to Do?, as he discusses how to deal with issues on gender, tolerance, sexuality, friendship and family challenges. Presented from a balanced and biblical perspective, this video is ideal for youth pastors, counselors, youth leaders and, most especially, parents. site design by iSelect Internet, Inc.